A dental practice in Tring is offering NHS patients suffering from dental phobia the option to have routine treatments under sedation in a bid to improve their health. According to the British Dental Association, 25% of people suffer some form of anxiety before they visit a dentist and fear is the second most common reason people avoid seeking treatment. In its most severe form, dental phobia, which effects 12 per cent of the population, can prevent people from seeking dental treatment even when they are experiencing high levels of discomfort. mydentist practice manager Felicia Van der Wal said: “We’re offering oral sedation for routine treatments including fillings and multiple extractions for people suffering from dental phobia. “Our professional team can recognise dental anxiety and in the majority of cases are able to treat patients without the need for sedation but for those who require it we can provide the full service. “We find our environment really helps too. People are put at ease by the jasmine-scented waiting room and the grey and teal green décor. And we’re taking on new NHS patients so would encourage anyone who hasn’t visited the dentist for a while – even if they are a bit nervous about it - to get in touch. mydentist Tring has a four-day a week sedation service and takes NHS referrals from all over Herefordshire and Bedfordshire. Dental phobia is an extremely distressing condition and is characterised by an individual who avoids treatment, regardless of its necessity or whether they are experiencing discomfort or pain. The fear experienced interferes with normal functioning or causes marked distress. Treatment that would normally be carried out during multiple appointments can be completed during one visit. 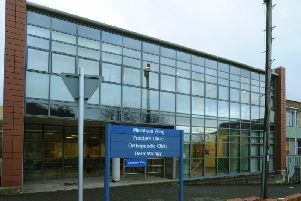 The practice at Dolphin Square, Tring, provides NHS and private dentistry. It is open Monday to Friday 8.30am to 5.30pm. To make an appointment patients should call 01442 823091 or visit www.mydentist.co.uk. mydentist is part of Integrated Dental Holdings (IDH), Europe’s largest dental corporate company with more than 650 practices and over 6,600 employees in the UK.